I've done that route many times over the years with several different ADV rider amigos. Always a long day and fun ride! But I've never stayed the night in the sierra. Always too anxious to jump in the pool at the Hotel Flamingo in San Blas! There are basic hotels in Mezquial, Huazamata, Jesus Maria and La Mesa de Nayer. I know of one ADV who even stayed the night at the hospital in San Juan Peyotan, just south of Huazamota. MAXVERT, SkizzMan and 95Monster like this. Always a long day and fun ride! But I've never stayed the night in the sierra. Always too anxious to jump in the pool at the Hotel Flamingo in San Blas! eddyturn, flei, jimmex and 2 others like this. Anyone with experience going to Jurgen Moto (BMW) in Guadalajara? Time for some routine maintenance before CA. 950p, so approx $50US. Restaurant/bar closed for dinner but breakfast was good. I haven’t encountered the sand fleas. But I grew up in South Carolina so probably immune. noshoes and Cal like this. Nice work! Sounds like you are having fun!! While you are there, the colonial navy fort up on the hill in San Blas is worth a visit. SkizzMan and 95Monster like this. We've stayed there 3 or 4 times no sand fleas the girl loves it . Not cheap . Cal and 95Monster like this. Hey Max I guess I wont post the hotel I use in San Blas(200 pesos) jaja Its closer to the beach so lots of sand fleas right at dusk and then they go away at dark! @Mainecoons and I were hosted by the Fuentes family in San Martin (just south of Oaxaca City) last week. Dan and his wife have a very strong connection with this Zapoteco family of artisans. Their family home/taller is right on the MEX175 frontage and they sell their work directly to the public so drop in if you’re passing that way as you’re sure to find that perfect piece to add to your travels collection. I sure did. slowriding, Stephen, jonz and 5 others like this. EvilClown, jimmex, MikeS and 5 others like this. @Mainecoons and I were hosted by the Fuentes family in San Martin (just south of Oaxaca City) last week. Dan and his wife have a very strong connection with this Zapoteco family of artisans. Their family home/taller is right on the MEX190 frontage and they sell their work directly to the public so drop in if you’re passing that way as you’re sure to find that perfect piece to add to your travels collection. I sure did. Perfecto amigo , My girl and i were thinking about a drive down that way to buy art and the wood carvings are at the top of our lists . As always to gifts you give us . It's our task to unwrap them . Reminds me of the "casa particular" I stayed in in Bacadehuachi. Son. They had the huge tortillas going on the comal and it was one of those things that sticks in your memory. That area , Nocori Chico and thru to Madera is firmly stuck in the minds of everyone who has ridden through. I guess I need to man up and do it cause everybody else is riding their computer . Be sure to check out Zeny’s tiendita in town and his mother’s next door. Some amazing pieces to discover there. Mention me (JD) and Dan to them so they’ll know they’re getting exposure here on ADVRider. I'm planning my next trip down right now and was looking at going to Huapoca. What's the story with that area right now? Since Shorty got busted the Sinaloa cartels status ( power and control ) is being challenged in many areas . just a few miles East of Yecora on Mx 16. So as I've read this instability has impacted the workers at several mines near Madera . While they are organized in a Union at each mine that's a thin disguise for the the cartel that controls them. It seems there is a struggle over control of these Unions . and Huapoca looks fun though I haven't been there . When are you planning on being in Madera and what route are you taking to get there ? It's a day ride for me to Madera from Tucson and I'd do some exploring there . 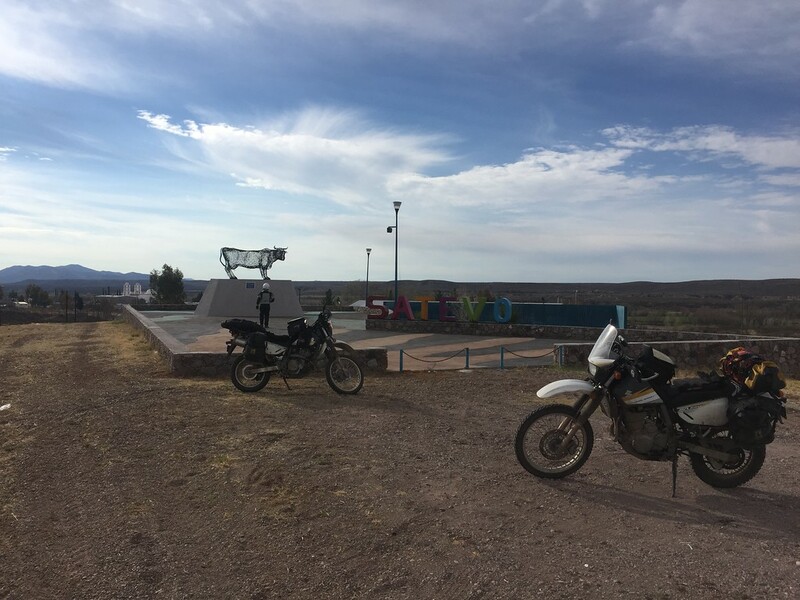 Bisbonian and I are planning a day ride from Banámichi to Huásabas and Cruz del Diablo next weekend via Moctezuma. Maybe to El Rancho El Coyote but we won't have time to head down south to Bacadéhuachi from there. Our other option is north to Huachinera. I'll report what we find. Max, if you are into textiles I highly recommend Cooperativa Guillermo Brena, Antes "Casa Brena". The day I was there several of the master weavers were working and all invited me to look at what was on their looms, I was gobsmacked by their skills. There is a very full shop on site where linens are on sale at very good prices. SkizzMan and MAXVERT like this. I haven't explored it but Bavispe looks like a nice small town . 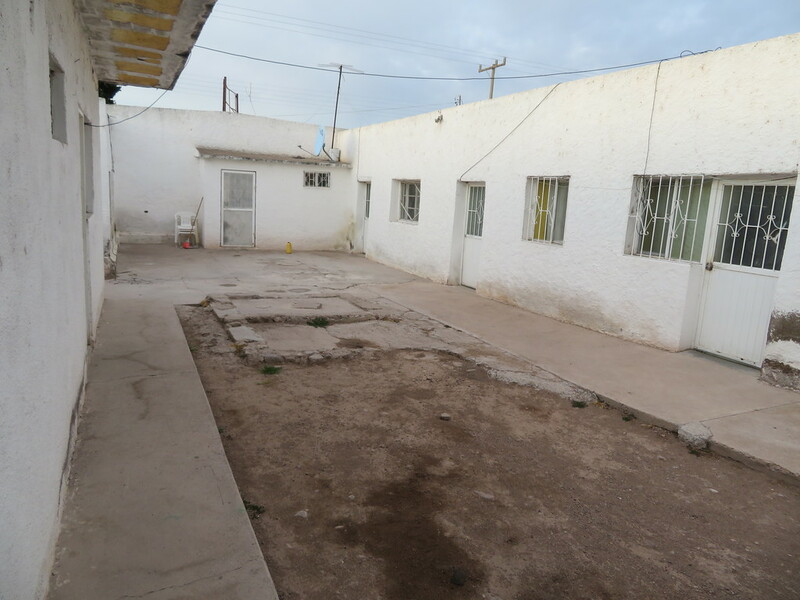 I've stayed in Huachinera recently and it was hard to find dinner not much happening . I really liked the ride through the valley to Bacadhuachi and continuing East to Nicori Chico is a great ride. I'd like to know more about Bacadhuachi , places to stay and eat .